Family Council is a group of family members and friends of the clients of Ocean View who meet four times a year. The function is to address any problems or concerns that may arise for the clients, provide a safe and friendly environment for family members to discuss these concerns and to help find a solution. 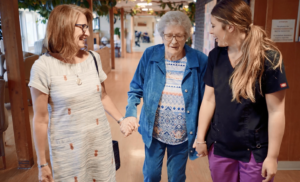 Family Council also provides educational opportunities about various illnesses and other important issues with aging and long term care living. It provides support for families through informal discussions and shared experiences. If you would like more information, please visit our Family Council bulletin board on the 1st floor in the sunroom for meeting dates/times, upcoming education sessions and general information. You can also check out the links below to access resources and meeting minutes.